Last night I sat down to put this post together and ended up watching youtube videos on tiny homes while drinking wine. So, I get it! Doing online work, often on your own deadline, can require a lot of dedication and focus. 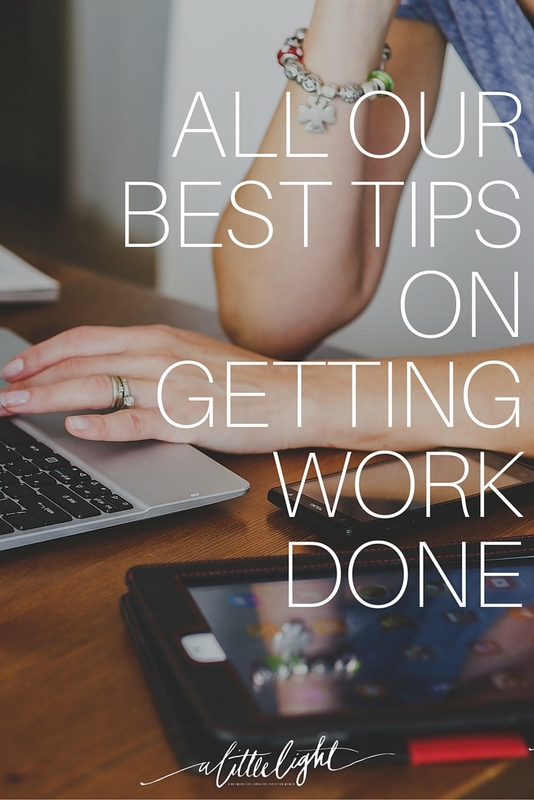 We could all use a few tips on how to be more efficient and effective. 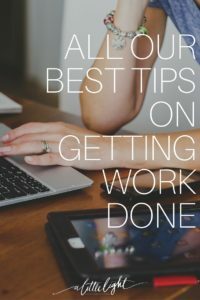 A couple of weeks ago we asked for your best tips on getting online work completed and these were the knowledge nuggets of experience and insight that our lovely ladies have shared. . . . . Thank you to all the ladies in the community who submitted their tips. How do you get your work done? What are your productivity tips and tools? Hop on over to Instagram and let us know!